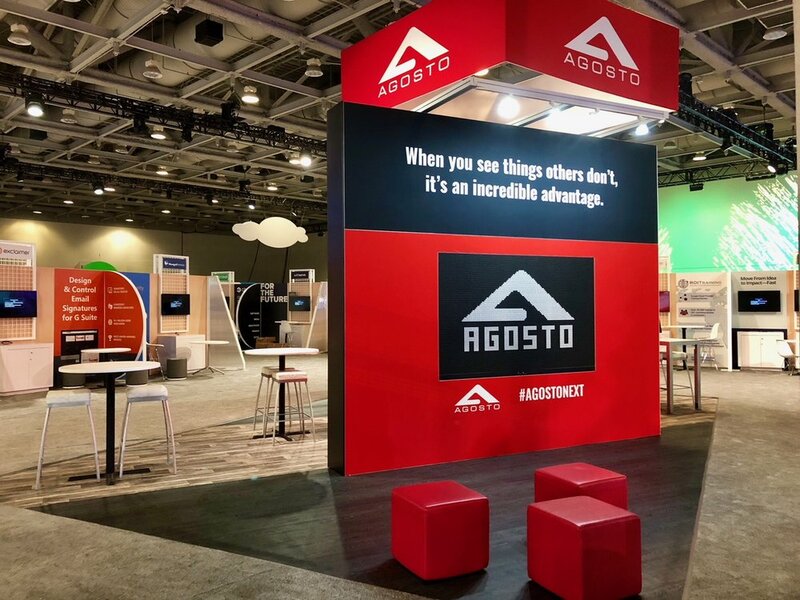 Agosto’s event goal was brand awareness and exposure; they wanted to have a resounding presence that was captivating and would draw in crowds through an energetic appeal. 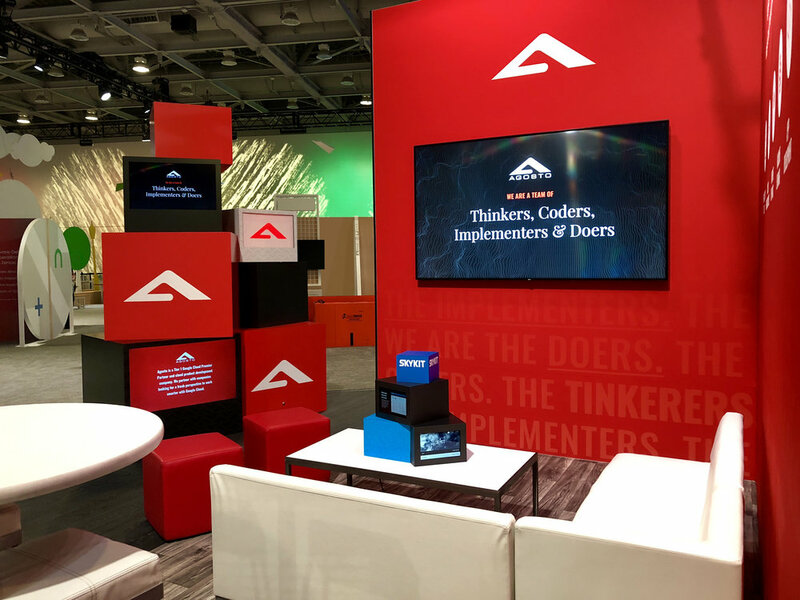 The major attraction to draw in conference attendees was from a 3x5’ Flip-Disc Display that our team strategized and sourced to provide a mesmerizing kinetic display that showcased a strategic message and tripled as an attendee interaction. During the show, the Flip-Disc had lines of people waiting to interact with the display. The Agosto brand is bold with a palette of red, black, gray and silver. Our team used red as the main color to attract attendees from a distance. We created a 12’ square hanging sign above the booth to provide a significant design element and visual tension. Our team fabricated a large cube structure to symbolize Agosto’s design process. Also, we recommended and implemented a mix of video, lightboxes, and graphics to provide strong branding at eye-level and made sure the furniture was casual and welcoming yet bold and memorable. The booth structure was kept very minimal to allow for open entries from all sides, easy traffic flow throughout, and different levels of conversation areas. Our client was thrilled at the results and had many people on the show floor asking about the creative design and execution of the exhibit. The Flip-Disk solution was well-received and one that was remembered and talked about throughout and after the Google event.